Quick action is key during a serious allergic reaction. That’s why, kind of like a fire drill, it’s smart to occasionally review the instructions your doctor gave you and run through the steps you would take in an emergency. And, there’s no better time than now to brush up on your skills. The likelihood of a child encountering risky situations is high this time of year when celebrations are centered around food. For example, your child may not be aware of allergenic foods at gatherings outside of your home or there could be an accidental cross-contamination. 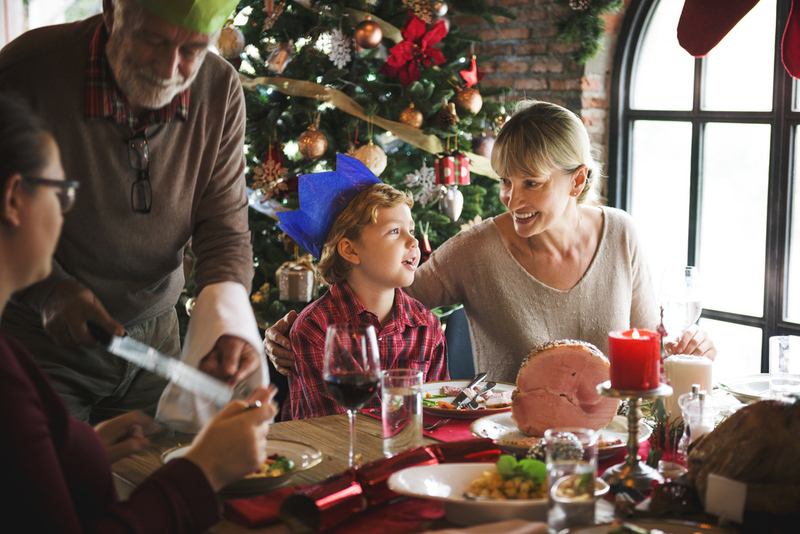 In addition, a younger child may not always be under constant supervision, leaving him to try holiday foods without a parent reviewing their ingredients. Dr. Karnani offers 7 ways families with a seriously allergic child can prepare for — and hopefully avoid — an emergency this holiday. 1. Prepare an emergency kit and make sure it is always with you. Pack your child’s prescribed epinephrine injector and antihistamines for milder reactions. If your child has asthma, keep her rescue inhaler in there, as well. It’s a good idea to keep at least 2 doses of epinephrine in your allergy kit. About 1/3 of kids require additional doses of epinephrine during an allergic reaction, so having just 1 auto-injector in your pack may not be enough. Also, check to make sure it has not expired. 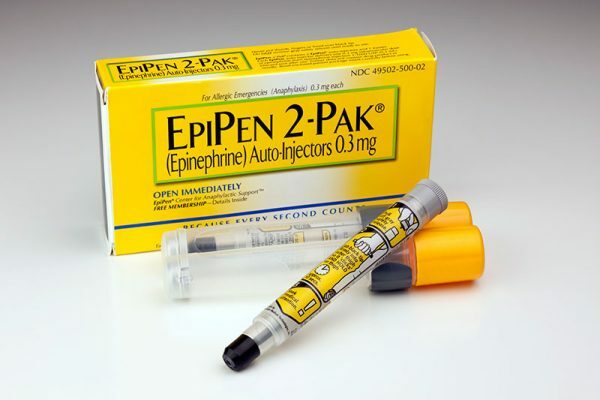 Epinephrine auto-injectors, in particular, have a relatively short shelf life and the product visibly starts to deteriorate at or around the expiration date. 2. Arrange constant supervision. Plan ahead and see if you can arrange with another family member shared supervision during the party to keep a constant eye on your child and ensure he doesn’t eat any snacks or treats he’s not supposed to. 3. Bring a dish. If your holiday celebration is outside of your home, offer to bring a safe dish to share. If the host is providing all the food, instead pack a few safe foods for your child to eat just in case his options are limited. 4. Know the signs of a serious reaction. Even if your child has had an allergic reaction in the past, it doesn’t mean it’ll be the same if there’s a next time. Serious, sometimes life-threatening reactions may include difficulty breathing and wheezing, swelling of the lips, tongue or throat, vomiting or fainting. Be ready to act quickly and follow the instructions your doctor has given you. 5. Practice. Practice. Practice. The holidays are an optimal time to review how to use the epinephrine injector, so you don’t forget. Are there caps to remove? Which end rests on the skin? Where on the body is the injection site? If necessary, ask for a demonstration at your doctor’s office, or visit the manufacturer’s website to get detailed instructions. Manufacturers also may supply a trainer syringe that is not loaded with epinephrine, so you can practice all the steps safely. 6. Inform key people at the party. Prior to the get-together, check in and remind family members about your child’s allergy. Let them know the warning signs of an allergic reaction and what to do if it occurs. Teach those who will be celebrating the holiday with your family how to use injectable epinephrine. 7. Create an emergency action plan. If your child has a reaction and needs the epinephrine injector, give it right away. Have someone call 9-1-1 while you are giving the injection. Be sure to take the used epinephrine syringe to the hospital with you.